Before you go any further with this article THIS IS COMPLETELY NORMAL! It may look a little odd if you look in Task Manager. 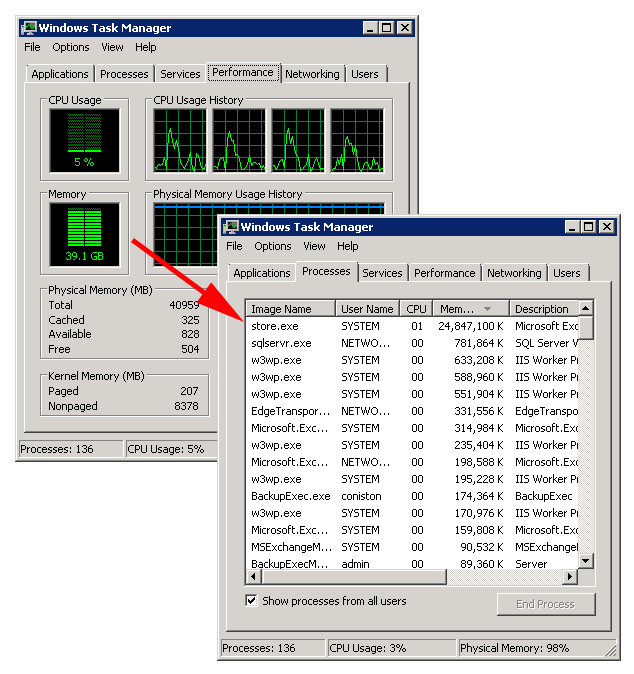 Store.exe will take as much RAM as it can get hold of, the difference between that, and a program that ‘hogs’ memory is, it has been designed to monitor the system, and release memory as it’s required by other processes. So for 99.999% of you stop reading now! OK, You can cap the memory that Exchange uses, but Microsoft recommend that you don’t do this. Why did I do it then? Well my company uses N-central to monitor our clients servers, and when monitoring the metrics for memory, it reports as failed if it stays at 99% for a while. This can happen quite often on some busier Exchange servers. 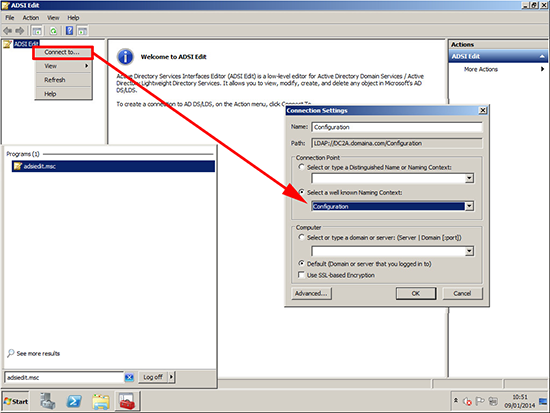 So I set about capping the memory that store.exe would use. 1. Launch ADSIEdit.msc > Connect to the Configuration Context. Open its properties > Locate the msExchESEParamCacheSizeMax attribute. Edit its value. 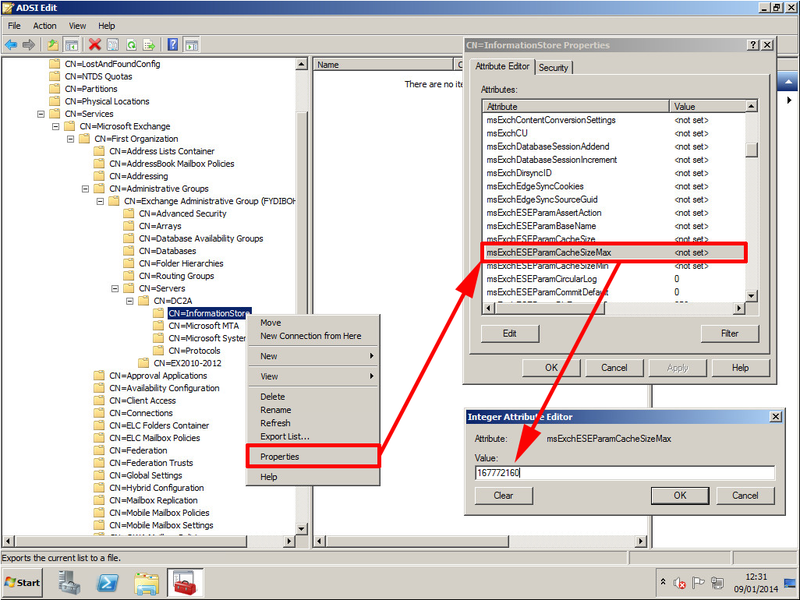 After Exchange 2010 SP1 you also need to set the msExchESEparamCacheSizeMin to the SAME VALUE. 3. 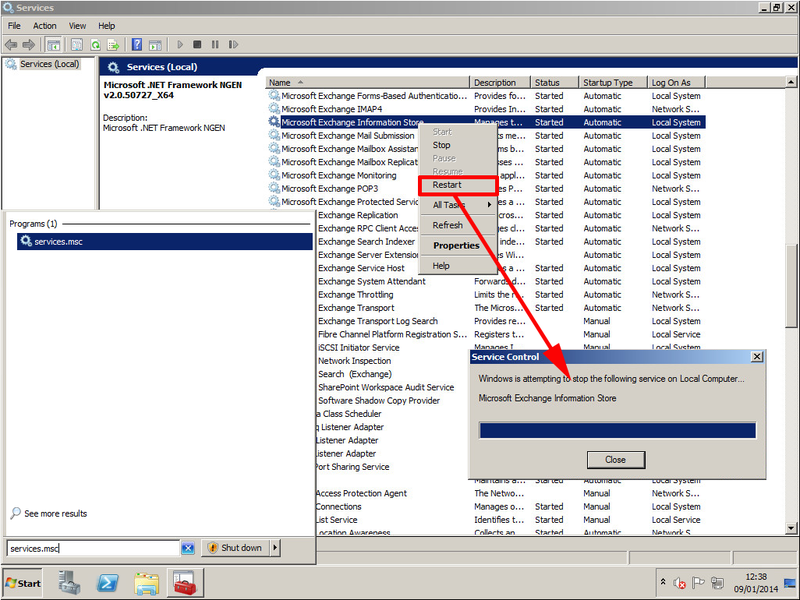 Finaly restart the Microsoft Exchange Information Store service.